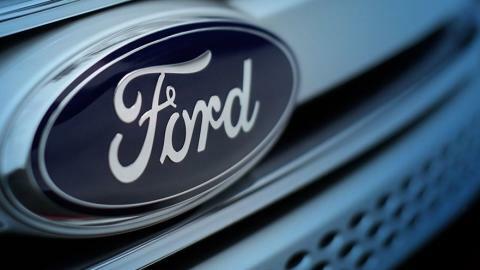 Ford Motor Company today announced that ChiefFinancial Officer Bob Shanks plans to retire from the company at the end of 2019. He will be succeeded by Tim Stone, an accomplished finance executive who served 20 years at Amazon Inc., and as CFO of Snap Inc.
Also today, the company announced that Peter Fleet, president of International Markets Group, has announced his intention to retire. Fleet, 51, has held leading roles in Ford marketing, sales and service, and business operations globally for nearly 30 years. Prior to the establishment of the International Markets Group, Fleet served as president of Asia Pacific, leading all of Ford’s operations and partnerships across the region. 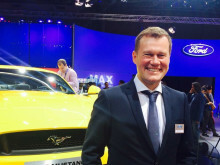 Previously, he held roles as diverse as president of Ford ASEAN and vice president, Sales, Ford of Europe. Effective April 1, Mark Ovenden, currently president Ford Middle East & Africa, is named president, International Markets Group and will lead its formation. The International Markets Group will become a reporting business unit on January 1, 2020. The company’s new business unit will oversee nearly 100 markets, including the company’s operations in Africa, ASEAN, Australia, India, Mexico, Middle East, New Zealand and South Korea, as well as a number of emerging and distributor markets around the world. The formation of this new business unit follows the recent establishment of China as a standalone business unit. Ovenden, 54, will report to Jim Farley, president of Ford Global Markets. Rowley, 51, succeeds Armstrong who is being named chairman, Ford of Europe. In this new role, Armstrong, 54, will oversee key transformation projects and joint venture partner interactions for the region, as well as lead Ford’s engagement with European governments on key industry legislation and issues. Birgit Behrendt, vice president, Joint Ventures, Alliances and Commercial Affairs in Europe also announced her intention to retire. Over a 40-year career with many recognitions, she held several leadership positions in Purchasing in Europe and the U.S, including oversight of Global Purchasing Operations. In her current role until the end of March, Behrendt, 59, serves as the main interface with the company’s joint venture and alliance partners as well as supporting the establishment of the strategic alliance with Volkswagen. 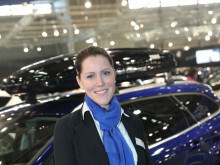 Going forward, she will continue to serve in her role as a member of the Ford Werke Supervisory Board. For biographical information on Bob Shanks, click here. For biographical information on Tim Stone, click here. For biographical information on Peter Fleet, click here. For biographical information on Mark Ovenden, click here. For biographical information on Steven Armstrong, click here. For biographical information on Stuart Rowley, click here. For biographical information on Birgit Behrendt, click here.